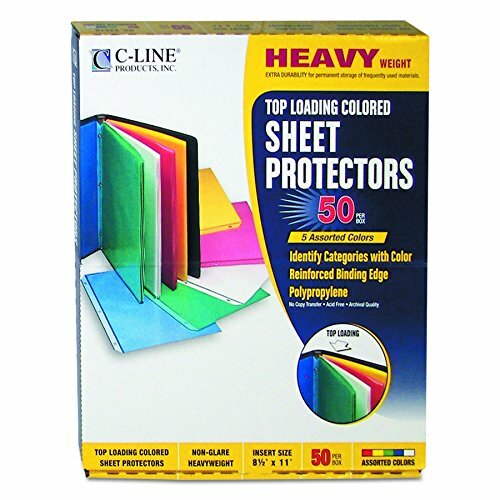 C-Line Top Loading Polypropylene Sheet Protectors are the ultimate in color coding experience. Use these sheet protectors alone or with both the Sheet Protectors with Index Tabs and Sheet Protectors with Colored Edges. The color coding works to organize and set apart presentations. These colored sheet protectors measure 8-1/2 x 11-Inches and no sheet punching is necessary. Assorted colors include 10 each of blue, green, pink, yellow and non-glare.